Liposuction is a procedure that can benefit men as well as women. If you are a man struggling with excess fat deposits, you may be a candidate for male liposuction. At his Bethesda, MD practice, Dr. Roger Oldham uses a tumescent technique, which involves less impact to the surrounding tissues. Thanks to this method, he can reduce discomfort and perform liposuction on virtually any area of your body. However, the most common treatment areas for men include the lower back, waist, abdomen, chin, and neck. Liposuction is similar for both men and women. However, there are a few key differences. First, men typically have denser fat than women, and it adheres to muscle more closely. Therefore, it can be a challenge to remove fat completely and without damaging the nearby tissue. Additionally, men typically want to remove less fat than women. Because their ultimate goal is a toned, muscular appearance, a certain amount of fat can actually give them the bulk they desire. Finally, men often want to treat different areas than women. Rather than focusing on the rear and thighs, men usually want to sculpt their abdomens, chests, and necks. With his artistic approach, Dr. Oldham can help you achieve the sculpted look you desire. Fortunately, Dr. Oldham is an expert in male liposuction. He can achieve highly precise results without damaging the nearby muscle. Plus, with his artistic approach, he can help you achieve the leaner, trimmer look you desire. Are You a Candidate for Male Liposuction? If you struggle with excess fat deposits that have not responded to diet and exercise, you may be a candidate for male liposuction. Nevertheless, you should remember that the procedure is not intended to help you lose weight. If you are currently overweight, or if you plan to lose weight in the future, liposuction is not right for you. Additionally, you should have overall good health and a strong immune system. 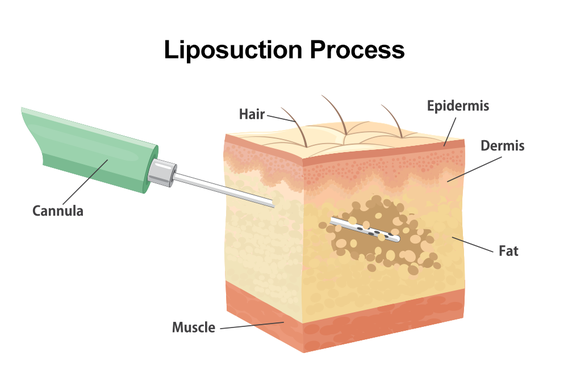 To perform tumescent liposuction, Dr. Oldham will first inject the treatment area with an anesthetic solution. In addition to numbing the tissues, the solution will also cause the fat cells to expand so that they are easier to identify and remove. Then Dr. Oldham will make tiny incisions, through which he will insert a small tube, or cannula. He will use the cannula to loosen the fat cells from the surrounding tissues and gently suction them out. The incisions will be so small that, in most cases, they will heal with a very inconspicuous line. Liposuction is a minimally invasive procedure that can have dramatic results. Although it will not actually help you to lose weight, the treatment can make you look several pounds slimmer. In addition, liposuction will permanently remove fat cells. Naturally, you must maintain a healthy diet and exercise routine to prevent fat from developing in the future. Along with your improved appearance, you will likely enjoy an accompanying sense of confidence in your body. Though liposuction offers numerous benefits, there are very few risks. Of course, all surgeries have side effects. You will experience some swelling and bruising after treatment. These should subside within a few weeks. In rare cases, you could experience more serious side effects, such as bleeding, infection, fluid accumulation, and uneven contours. However, when you visit an experienced plastic surgeon like Dr. Oldham, these risks are minimal. Many men have achieved very satisfactory results with this body contouring procedure. To learn more about male liposuction and to find out if the procedure is right for you, contact Dr. Oldham's office today.